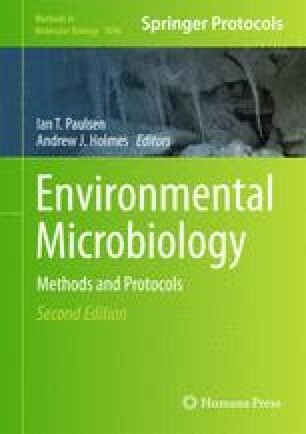 The direct retrieval and sequencing of environmental RNA is emerging as a powerful technique to elucidate the in situ activities of microbial communities. Here we provide a metatranscriptomic protocol describing environmental sample collection, rRNA depletion, mRNA amplification, cDNA synthesis, and bioinformatic analysis. In addition, the preparation of internal RNA standards and their addition to the sample are discussed, providing a method by which transcript numbers can be expressed as absolute abundances in the environment and more readily compared to other biogeochemical and ecological measurements. We wish to thank Christa Smith for help in protocol development and Camille English for creating the figure artwork.